Japanese barbecue? Cool right. Well it gets even better. You sit, chill and relax. While they cook. In front of you. Flames sizzling up right in your face, I am not kidding you, these chefs and their skills with knives, oil and anything that can burn is quite sensational. They chop faster than you blink. 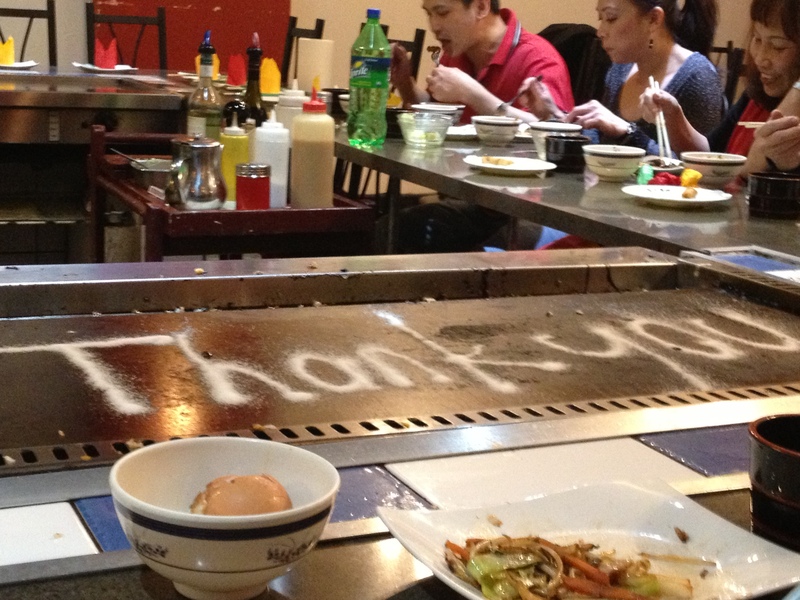 Common to teppanyaki dining, is the trend of having the cooks throw your dishes at you. Yes, they do hurtle eggs, fried rice and other things straight at your face. 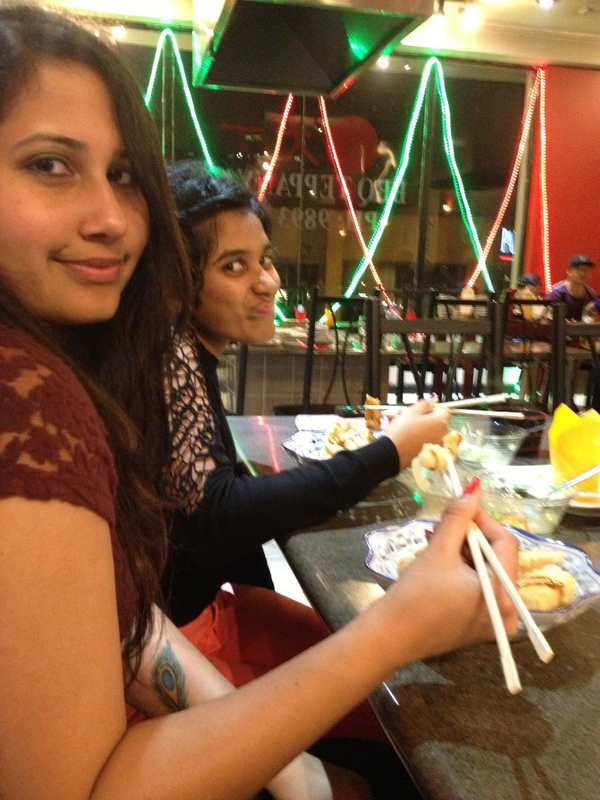 PDS and I – P is fine, but I am desperately hoping my weird chopsticks grip holds for the photo…. Now that you know a bit more about it, maybe I should return to the beginning of my story. So said mates, TT and PDS, took me up a revoltingly grand staircase to get to the joint (I was in my heels ok! ), and even then I was a little confused, I thought ‘Japanese? Awesome!’ but was definitely not expecting to walk up and see a chef hollering to his customers to catch the food! The atmosphere, despite the small amount of people, was fun. I know, am I at a loss of words or what? There was a bar tucked away to the corner for those more mature than catching rice bowls (as if!) with a large fish tank hypnotising my friends and I. One of those fishes was as large as my entire hand and I am not even kidding you! Then we got our entree section, the fried goods, one large bowl each and may I say, this could have been our dinner, it was so generously served. There was a delicious mix of battered fried vegetables, ranging from sweet potato to pumpkin, though my favourite had to be the spring rolls and the onion ring, I wish I had had two of those! 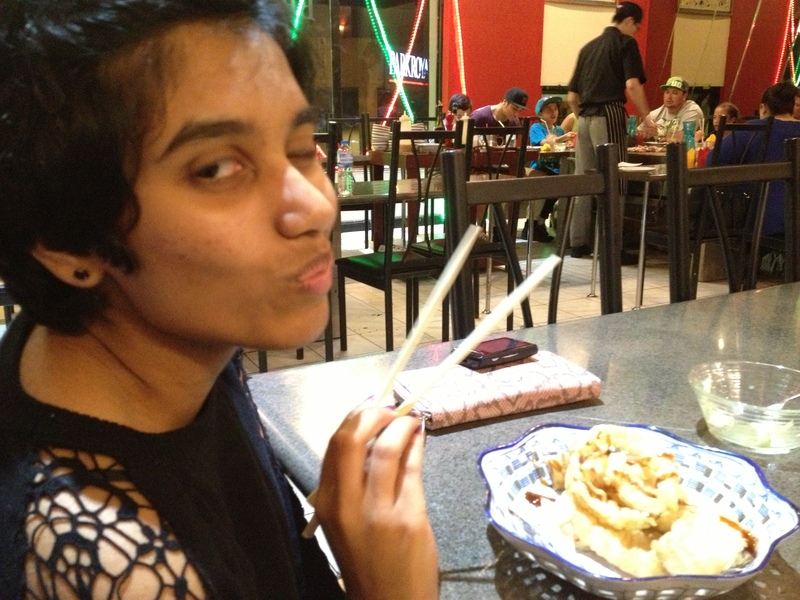 PDS and her mad chopstick skills! The sweet potato was warm and well cooked, crunchy batter on the outside, but I couldn’t even really distinguish it from pumpkin (You Americans must be hating on me so much right now :P) but the spring rolls were simply perfect. Warm, crunchy and with a delicious, fresh veggie filling, I ate them in 2 bites! 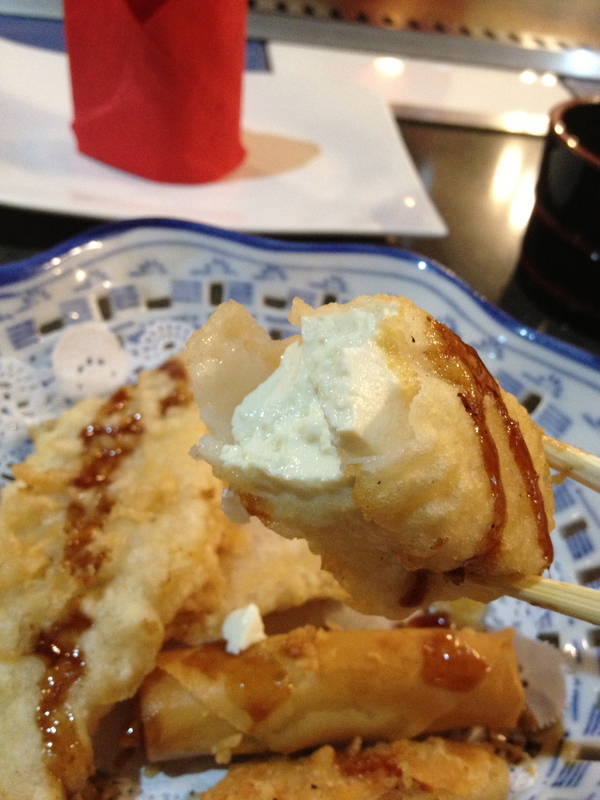 And the onion ring, the lightness of the batter (I have no idea which flour they used but certainly not plain!) was simply crispy and a perfect external covering for the spicy onion! 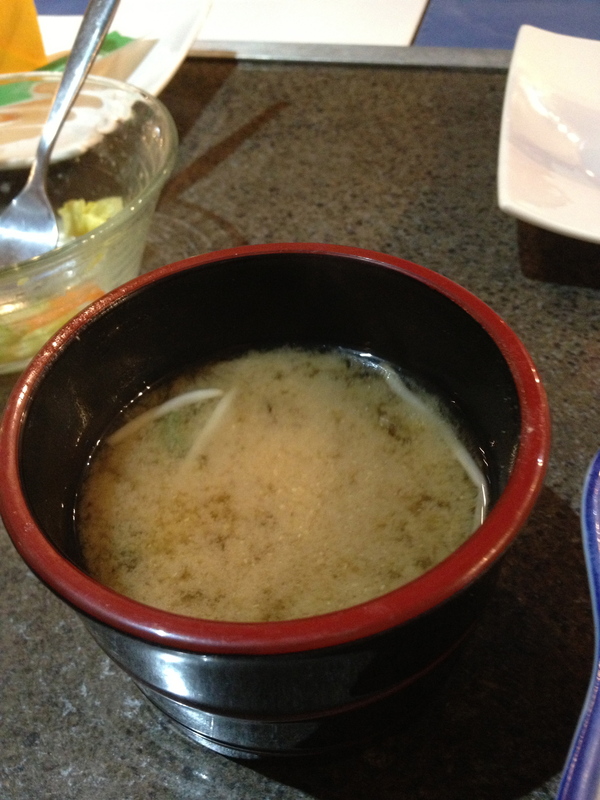 We also received our boiling hot miso soup at this time, and none of us had ever tried miso before. No spoons, it is customary to drink this like a … drink… but despite the bean sprouts floating in it and the murky dark brown clouds, this was quite pleasant and filling as well. And I love their flexibility in entertaining! Sorry for the photo quality – its hard to capture their quick movements! And of course, this was not the end of our entertainment. I did mention throwing food right? Expertly, he grabbed a couple of eggs, cracked their bottoms slightly, and then placed them that side down on the stove. Grabbing his spatula he flipped a couple up, chucked us our bowls, and processed throwing raw eggs at us to catch. You throw a ball. You catch it. He uses a spatula to throw an egg. You catch it in a bowl. OH. MY. GOD. 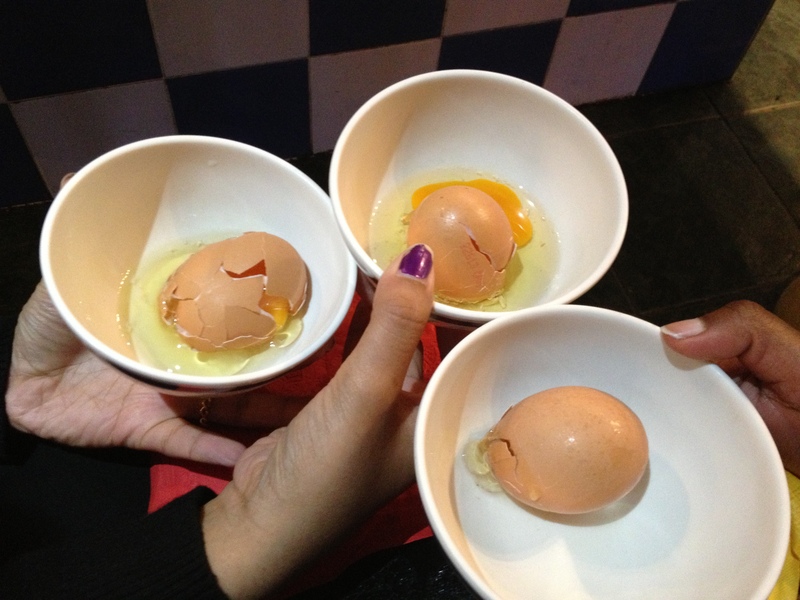 Brutally honest here, we did pretty well – check out our gorgeous eggs! Yes we caught the bowls in bowls 😀 3/3! Would I go back? Absolutely, this would be a brilliant place for a foodie get together!!! Ouch Pinterest is a wormhole where I have lost much of my time. But so is Instagram and Candy Crush 😉 And all because they are GREAT. Happy birthday late! Looks like a fun time! Welcome to Pinterest, CCU! It’s lots of fun and great ideas, not just about food. You mentioned teachers… your school teachers have every reason to be proud of you. Your spelling and grammar are always spot-on and that makes your posts so much easier to read. Loved the photos of the flames. You have the best friends, so nice to take you to such an entertaining restaurant. Can’t wait to see the new blog! 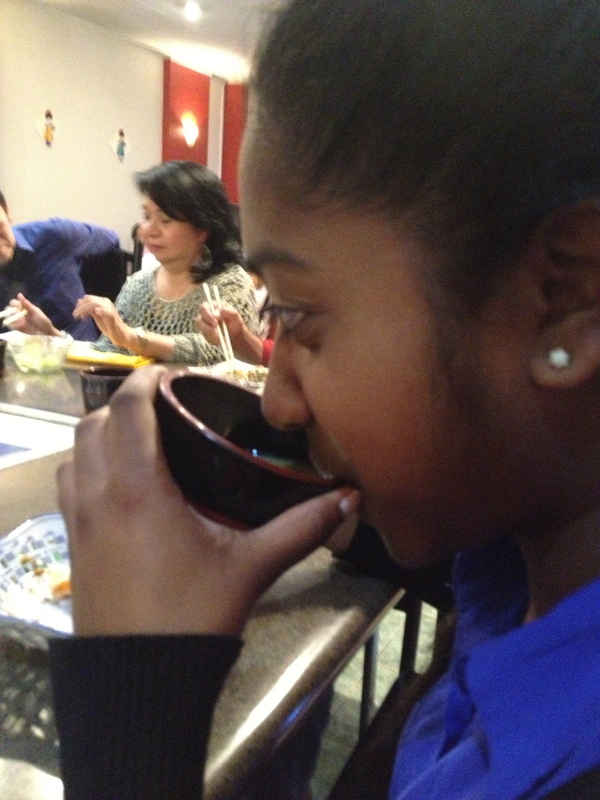 Geez its been a while since I had tepanyaki. I love it! Uru, how sweet of your friends to take you out for dinner! Happy Birthday!!! xo I thought it was marvelous the chef asked about preparing your veggies w/o touching the meat — very respectful. (Hadn’t thought about that aspect of “shared” grilling.) 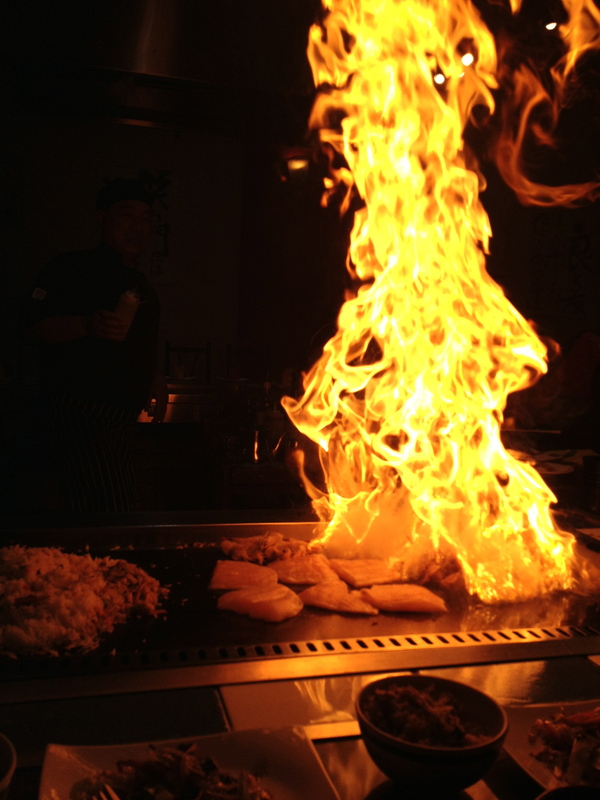 My son took me to a teppanyaki restaurant last summer and it was a blast. No eggs flung at us though — I feel like I missed out! Glad you had such a wonderful, tasty birthday celebration! Happy belated birthday, gal! How could I have missed this post? Lol! 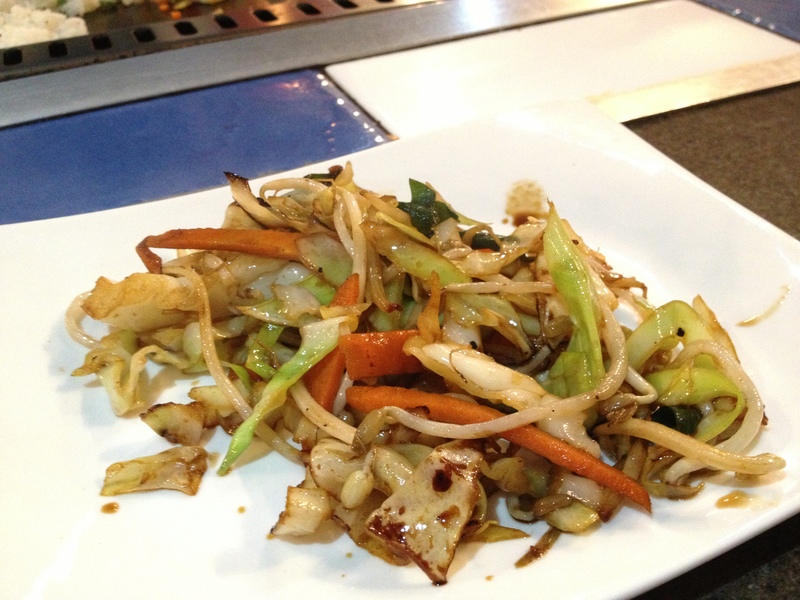 I adore Teppanyaki & have it rather often. OMG, you’re 18?? That’s the same age as my son! Wish he’s as talented as you…….. I’m following you at Pinterest & support you all the way! what an amazing way to celebrate turning 18! it looks like you had such a great time and the food looks incredible! looking forward to seeing what you’ll be pinning too! 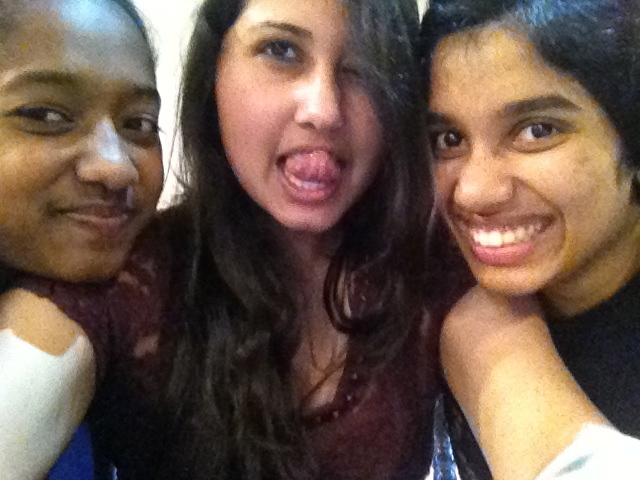 Glad you are having fun after your exams! Congratulations! With your experience I certainly believe you! Happy Birthday! How exciting that you’re having a new blog created. It’s so worth it but a lot of work to play catch-up and get things in order. I’m still doing some editing and mine was recreated back in May. As for Pinterest of course I’ll follow you. I’ll go do that as soon as I get off. As for help – you’ll have no trouble figuring it out. It’s addicting. We have a Teppanyaki here and I’ve never thought of going there, until now. Great review!! They throw food at you??! I would most likely drop my egg, I’m sure of it. But still, it sounds like a fun place to eat. Happy birthday! Happy birthday, looks like you had a blast! Happy Birthday and what a great way to celebrate 🙂 Loved the review and wish I could taste the delicious foods!! What an awesome review, wish I lived there so i could go! Hope you had a great birthday, looking forward to seeing the new site! 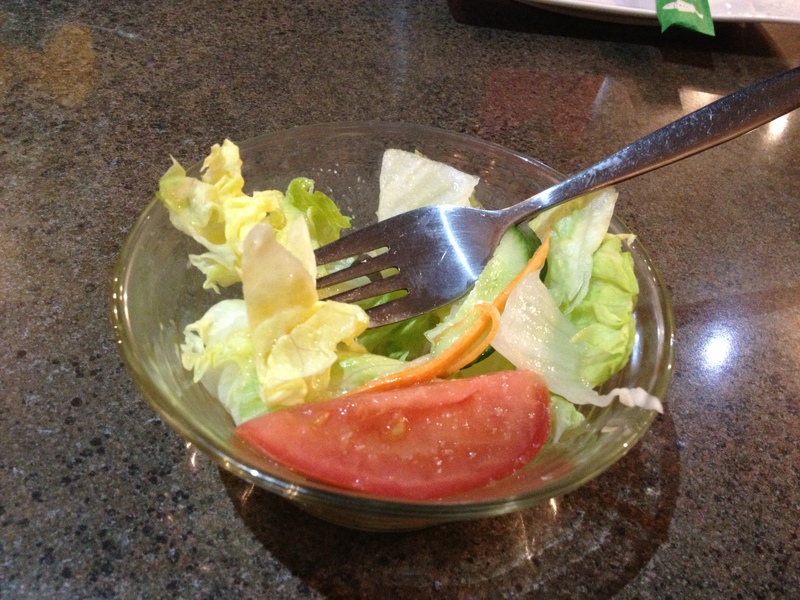 Teppanyaki is always fun but I’m hopeless at catching food with my mouth so naturally stuff goes all over my top haha. What exciting news–looking forward to the unveiling! 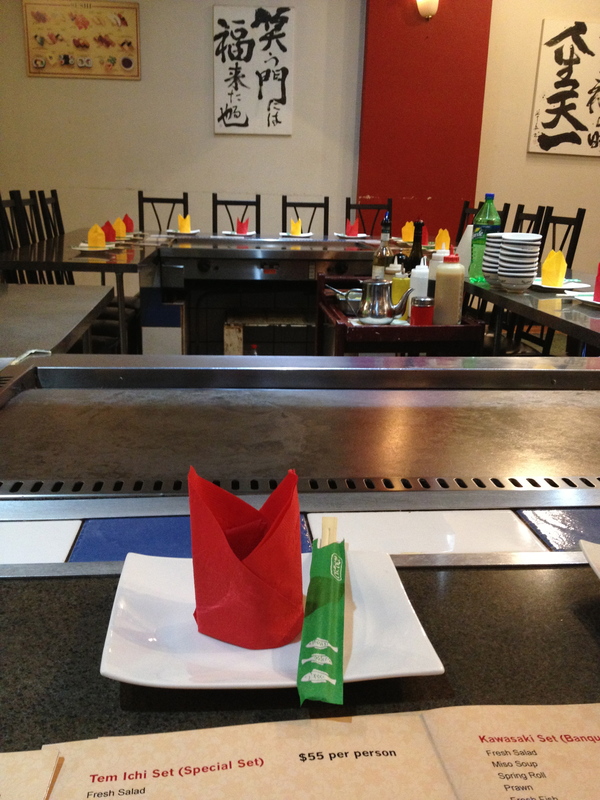 Looks like fun – I have never been to teppanyaki. Happy Birthday, oh what a fun day you’ve had. a new website sounds great, can’t wait. Yay and hifi for teppanyaki, love it. No fair this post made me so hungry!! Lol. I would add you on PInterest if I could, but I don’t have an account – PInterest is not something I know anything about although you see the icon everywhere now. Congrats on the ‘new’ blog plan! Quite a dinner adventure! Seems lots of fun! I would have probably dropped everything, though. Happy belated! You look radiant and it sounds like you had so much fun! I totally want a delicious meal like this now. Immediately. We have a chain in the US that’s like this restaurant. Mostly, my clothes get all smokey so it’s not my favorite place to go, but it’s fun. Looking forward to your new website and have fun with Pinterest. Try to limit yourself to once every couple days and you won’t get hooked! Happy Birthday CCU! Your friends rock as this sounds like a really fun way to celebrate your B-day. Welcome to piniterest. I also think this is quite a distraction right before your October exams as one could literally spend hours drooling over all of the delicious pictures of food and meeting new people. Congrats on your new website. All of the food looks superb! I love these places too! We’re all big kids aren’t we? I love to go there for our anniversaries and eat a lot! Hope you had a great birthday. Can’t wait to see your new web site and welcome to Pinterest, the biggest waste of time ever invented! It sure sounds like you had a very happy birthday. What a fun place to go – very entertaining and everything sounds great. I cannot believe those flames – I think I saw some scary images in that fire & I sure hope they have very high ceilings in the restaurant. Maybe next time you should wear a raincoat. I wish I could help you with Pinterest. I love it but don’t understand it that well except to know that I can get lost in space for hours looking at everything on there. This looks like a great place to eat! It reminds me of one of the restaurants that I went to in Mexico. Yum! Can’t wait for the unveil of your website! Wohoo! Congrats on your upcoming website! Wow, looks absolutely delicious! Very theatrical too! What a great sounding place, happy birthday to you too! 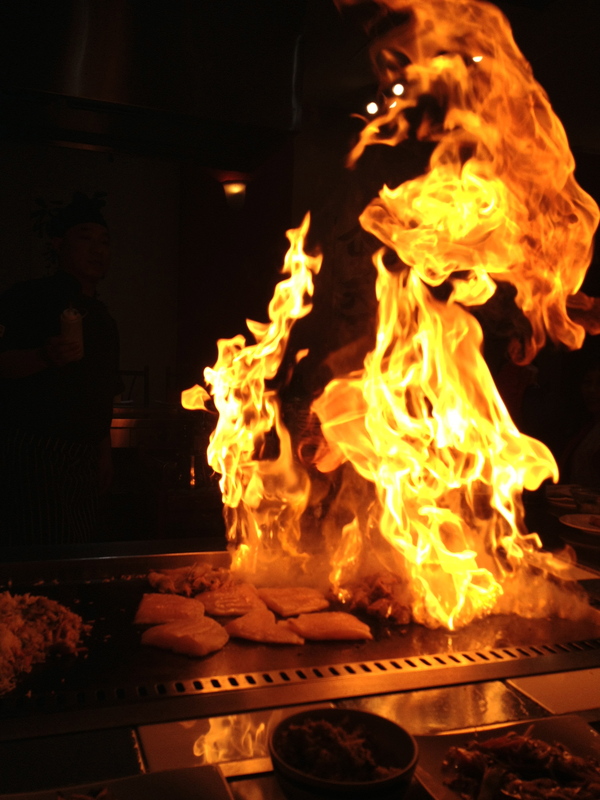 We are a huge Teppanyaki fan 😀 The best one that we had was in South California. Looks like you had a blast! 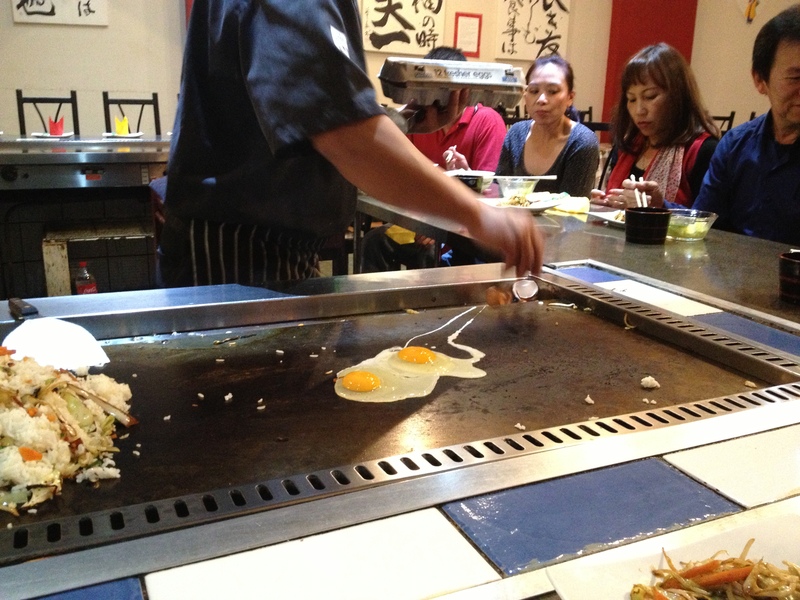 Wonderful food and one of my fav is the teppanyaki. Anxiously waiting to see your website soon. Congrats on the new website, can’t wait to see! Also it’s late here and now I’m extremely hungry! 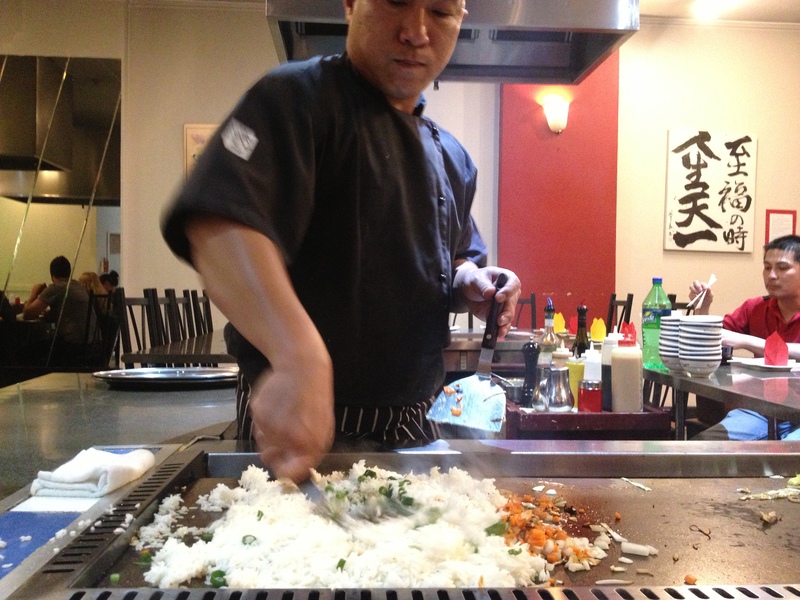 Great reviewv on the teppanyaki restaurant! looking forward to your new website! 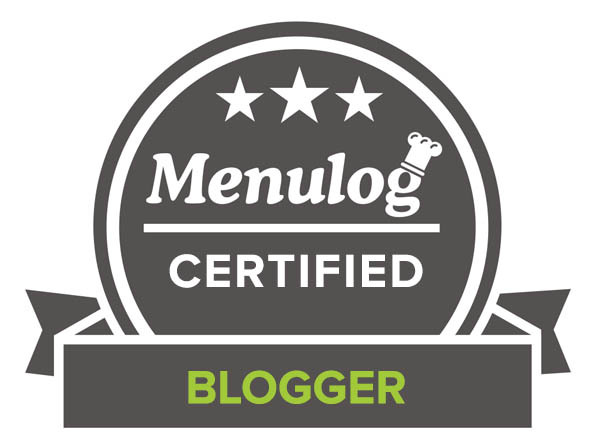 Look at you going hard-core blog world! Congrats!!! I just followed you on Pinterest. Are you on Instagram? And nope, don’t have that much procrastination time! What a lovely birthday. Do you know that in the US they perform in a similar manner but they don’t throw bowls or eggs or rice at people and it’s still fun. 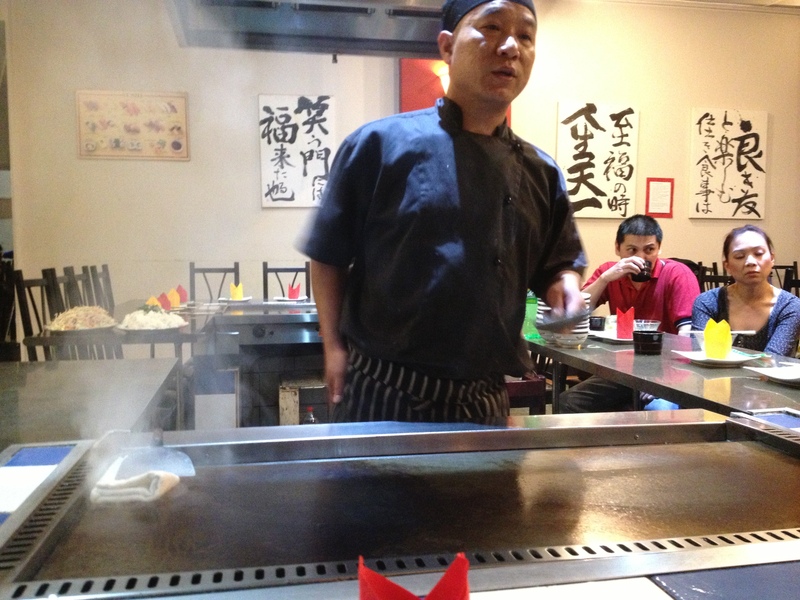 The first time I went to a teppanyaki restaurant in Australia I couldn’t believe it. It was a fancy lunch for our staff and our accountant and lawyer were invited and our lawyer left covered in raw egg. He was less than impressed as he chose not to participate but the woman next to him missed. Thanks for reminding me. I tried hard not to laugh but I failed. HAPPY BIRTHDAY! Sounds like you and your friends had a blast, always fun to celebrate with good friends. 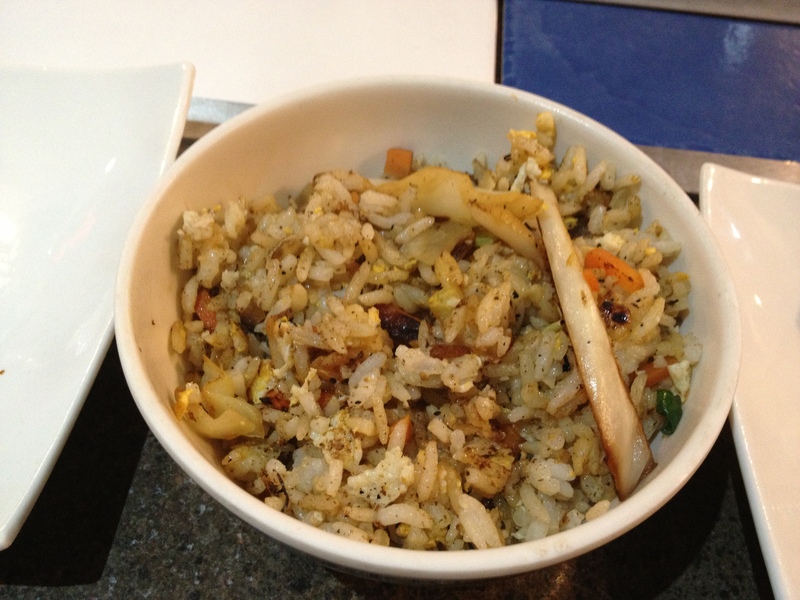 I love teppanyaki too… haven’t had it in ages though. What a fun birthday! Happy birthday! It sounds like you had a great time. I would love to go there. I’m not sure how I would do catching eggs but, I would give it a shot! We have a place here that is similar, I have yet to go there but, I’ve heard wonderful things about it. Hope you have fun if you decide to visit! Looks like a fun party and Happy Birthday to you CCU! 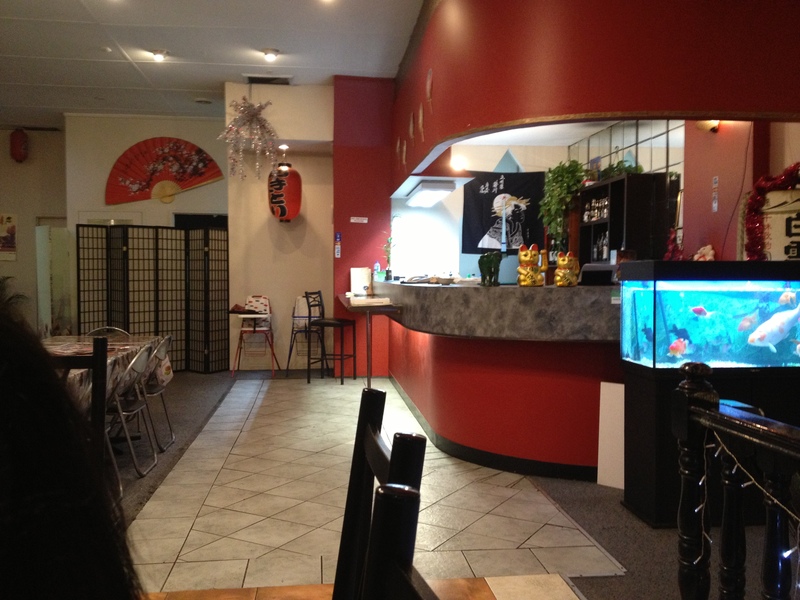 We used to have a restaurant here named Benihana that looks very much like this one. Glad you had fun! Happy birthday. It sounds like a fun time with your girls. 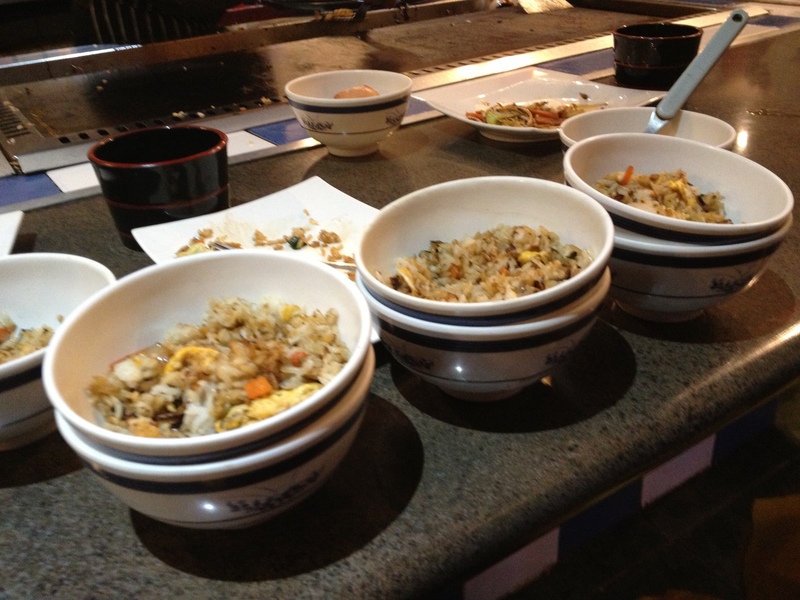 I’ve enjoyed teppanyaki a couple of times but they never threw the food at us. I wish there was still a restaurant like that in town. Happy happy birthday to you, Uru. I am addicted to Pinterest too. 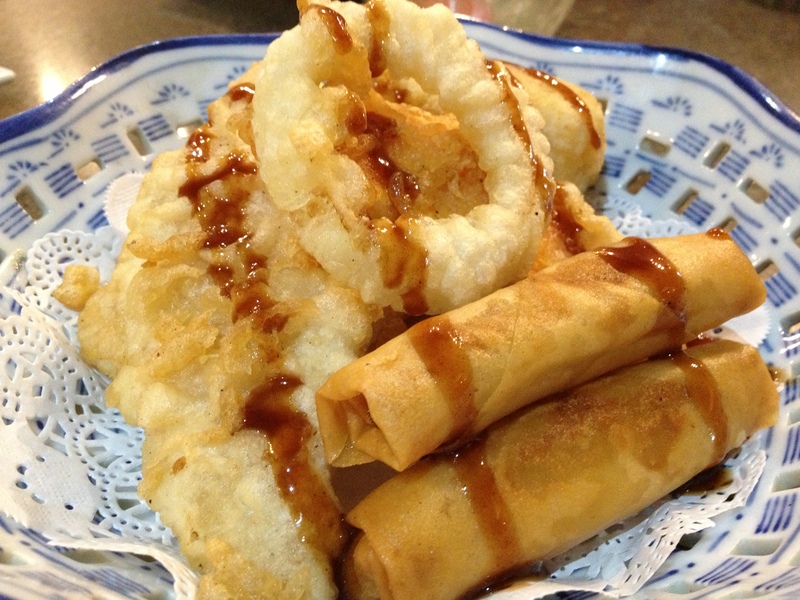 The tofu and the spring rolls are great! CONGRATS! 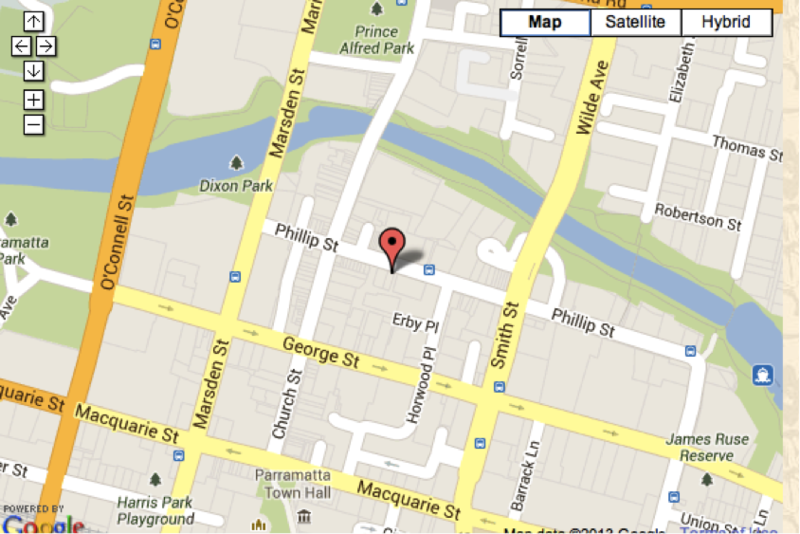 Found you and am following you now on Pinetrest! Addictive eh? Now following you on PInterest 🙂 Happy birthday and excited to see your new site!! Congratulations on your upcoming website! That is very exciting! Pinterest is such a distraction, but I love it. Will follow you! You can find us at solefoodkitchen! and actuallly paying a lot for that fancyy demo…. 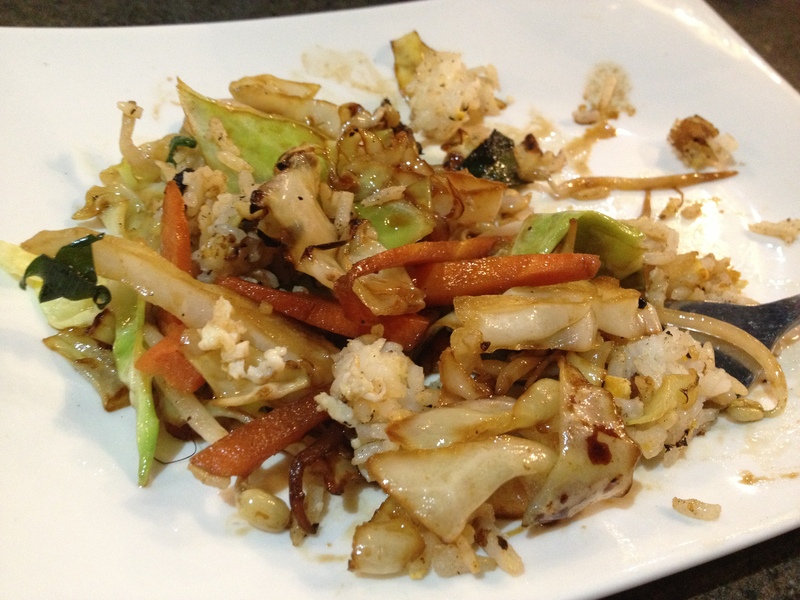 but it’s always fascinating me when i go to japp-stly teppan restaurant nearby..
i love when the chef is cut the veggies in the pan….. Sounds like a fun night out! And I can’t give you advice on Pinterest as I’ve stayed away from it myself. Too afraid of procrastinating! Sadly I don’t Pintrest or however you are supposed to say that but I am hugely excited to see your new website! Pinterest is fun – I just started ramping up my presence on it, but I can see where it’ll be a great time waster!. I’m your newest follower! 😉 What a great birthday celebration – sounds like loads of fun with truly good friends. Hope you had a great birthday! OM, you’re an adult girl! Happy birthday, welcome to pinterest (followed you) and can’t wait to see your new blog! You are still my favorite 18 year old, Uru! Uru your enthusiasm is contagious! First, welcome to Pinterest. I LOVE it and I am your newest follower:) I also repinned one of your pins:) May I suggest you add the Pin It button to your web browser, if you haven’t already, because I saw that you have the images from your blog uploaded rather than pinned. You should go back and add the URLs for the images. Many have pinned from your blog, including me. If you want to see what has been pinned from your blog, go to this link. Thank you so much for sharing your meal with us Uru. I’m going to wish you a Happy Birthday again, just because:) Enjoy and if you have any questions about Pinterest, just email me and I will try to help:) You are going to LOVE Pinterest! P.S. I’m thinking about doing a Pinterest How To post. Do you think it would be useful? Happy Birthday, my dear, you’re now officially an adult with full voting rights, at least in the US. 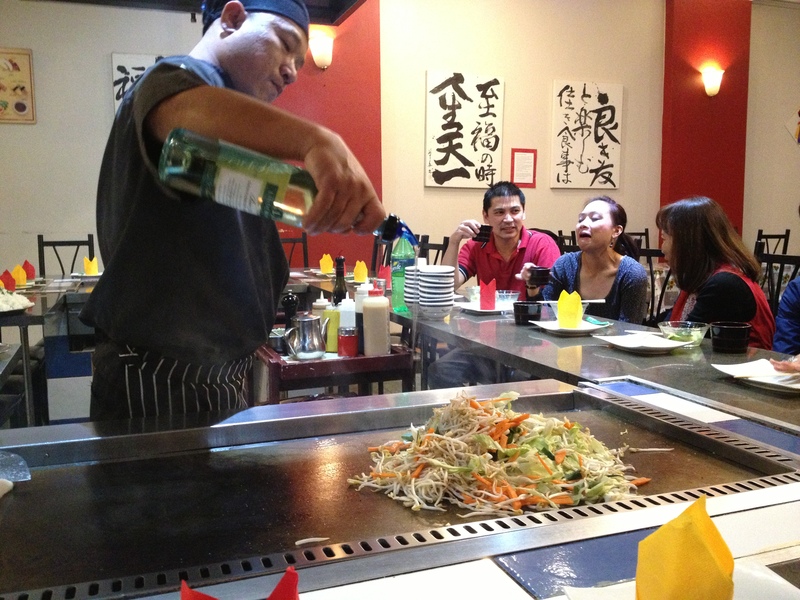 Sounds like your friends gave you the perfect gift; Teppanyaki is always fun even if playing with food is not your cup of tea! 🙂 Can’t wait to see the unveiling of your new website! and legit it was brilliant!